Many people complain about thick hair. In short they hate it. While others envy and jealous them because they wish to have what I called gorgeous thick and wavy hair. Some hate because they have all kinds of hassle trying to deal with it. If you’re suffering from an excess of tresses, read on. I’ve chatted up with some stylist and they’ve provided me with an insight into the secret world of thick hair. 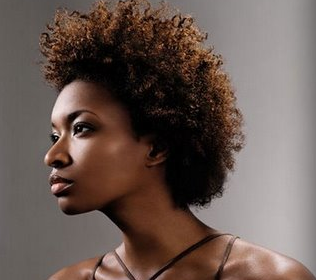 Here are 10 tips on how to deal with thick hair. Most people with thick hair also tend to have wavy hair, and wavy hair tends to frizz… which makes it even more unmanageable. The best way to deal with thick hair is to be patient. Blow it and dry before you leave the house on a humid day… let the air dry it for an hour or so, then tackle it with your dryer, wait ten minutes for your hair to cool, spray it with a light hold spray, and you’re ready to go. Forget all the cute little bows and clips and those pins. They are not going to work in your hair. They make lovely decorations, but there’s no way they’re going to do the work of holding your hair up or back. They’re just too flimsy! Keep your eyes peeled for extra-hold clips and elastics. There are apparently all kinds of tough-enough accessories for your thick. A lady said in her entire life, she has been struggling to get one type of comb and brush that can handle her hair. She has invested in a high-powered hair dryer and she takes it with her when she travels. Having the right tools can make all the difference in how to handle thick hair. Try a boar bristle brush — they’re tough! Long layers are the first step in finding the right style for thick hair. Have seen many people with long layers that start at their cheekbones and proceed down the length of their hair. The layers give their hair movement and help thin it a little… and they’re gorgeous! You can thin thick hair by using thinning shears. If you can find a stylist with thick hair, chances are, she’ll be a pro at using these thinning shears. If not, get a recommendation. It was insanely difficult to care for short hair. If your hair is thick and straight, then a pixie cut might work. If you have thick, curly hair, think twice before trying to tame it by cutting it off. Just like a stacked bob won’t work in thick hair, most of the time, short bangs won’t work either. Long, side-swept bangs might work beautifully, but ask your stylist for her professional opinion before you instruct her to cut. Whatever you do, don’t use a volumizing shampoo and forget the mousse! Be sure you’re using the right product for your hair, like a clarifying shampoo and conditioner and a set of anti-frizz products. There’s one big advantage for having thick hair: you can rock braids way better than people with thin, limp hair. This is a great way to deal with thick hair when you just can’t make it behave. Gathering all behind one ear and secure it with a strong elastic, then do a herringbone braid (be sure to remove the elastic when you’re done). Or tame all of your tresses in a classic French braid from top to bottom. Gorgeous! Using the right tools, products and accessories, and finally finding a stylist who knows how to use thinning shears and long layers will help give you gorgeous look with your thick hair.